International business executives, investors, VIPs as well as affluent citizens worldwide consider the Malta citizenship a powerful tool for international tax planning and a safety net should the living conditions at home become unbearable. Because of the country's history as a former British colony the Maltese school system reflects the British structure. There are two school categories: state schools and private schools. State schools are free to all students (including free transportation and free books), while private schools such as international schools charge tuition fees. For more information about the Maltese school system please click here. The Malta citizenship program, leading to the Malta passport, is available to qualified investors at a one-time investment of approximately EUR 800,000 plus legal fees and property lease or rental. The citizenship application process can be completed in as little as 12 months. Malta residency by investment provides Schengen 90-day visa-free travel and the right (but not the obligation) to live in Malta year-round. All residency applicants are required to purchase or lease a property in Malta in addition to making the required investment. The Malta MRVP program, also known as the "Malta Golden Visa", is a permanent residency program for non-EU nationals, requires a one-time investment, and provides a permanent residency certificate which is valid for life. Investment options include a Financing Package at a one-time, non-recoverable expense of EUR 140,000 which covers all government, financing, and legal fees. The second investment option is a Bond Purchase and costs EUR 250,000 for the bonds (refundable after 5 years) plus a EUR 30,000 government contribution. Further, the MRVP main applicant must declare that he/she has an annual income of at least EUR 100,000 arising outside of Malta, or that he/she owns assets (stocks, bonds, real estate, other) valued at no less than EUR 500,000. The Malta GRP program is a 1-year residency visa for non-EU nationals that offers special tax advantages and that requires a recurring minimum expense of approximately EUR 24,000 every year to avoid expiration. The processing time is approximately 90 days. To qualify for the GRP program applicants must refrain from staying in any other jurisdiction for more than 183 days and becoming a tax resident in that other country. The Malta OR program is only available for EU nationals (citizens of the EU including Switzerland, Liechtenstein, Norway, and Iceland) and requires the applicant demonstrates financial self-sufficiency, which is defined as having available funds of at least EUR 14,000 for a single person (EUR 23,000 for married couples). The Malta residency program for EU-citizens requires applicants to declare they do not spend more than 183 days in any other jurisdiction outside of Malta. The tax rate on income brought into Malta is 15% (annual minimum tax: EUR 15,000). The government of Malta is offering Malta citizenship (European citizenship / EU passport) or residency to international investors who contribute to the country's economic development. The Malta Individual Investor Program (IIP) offers affluent persons of impeccable standing to receive Maltese residency and EU citizenship on the basis of an investment in Malta. EU citizenship grants the permission to live, work or study in any country of the European Union. Applicants are not required to continuously live in Malta before or after citizenship approval. The Malta residency programs (GRP, MRVP, OR, and TRP) allow applicants to live in Malta and travel visa-free to all European countries within the Schengen area. To qualify for any of the immigration by investment programs the main applicant must be at least 18 years of age and have a clean criminal record. The main applicant may also add dependents to a residency or citizenship application, including his/her spouse, minor children, adult children who are unmarried and economically-dependent, and dependent parents or grandparents. This program offers Malta citizenship (EU passport) and all benefits of full EU citizenship. As a EU citizen you are allowed to live, work, study in any of the 26 European Union countries. Malta citizenship also grants you access to all investment opportunities in Malta and throughout the EU member nations, as well as visa-free travel to more than 160 countries in the world, including the USA, Canada, the Middle East, Africa, Asia, and most countries in North, Central and South America. In addition to the contribution, the main applicant must establish a residence in Malta through either (a) purchasing real estate valued at no less than 350,000 Euro or (b) renting a property at no less than 16,000 Euro per year. If purchased, the real estate may be sold after a five year holding period. The Malta government charges a separate due diligence fee in the amount of EUR 7,500 for the the main applicant, EUR 5,000 for a spouse, EUR 3,000 for minor children between the ages of 13-17, EUR 5,000 for dependent adult children ages 18-26, and EUR 5,000 for dependent parents over 55. There are no due diligence fees for children under 13 years of age. NOTE: No contribution or investments need to be paid to the Maltese government before the Approval in Principle is issued by the government. This ensures your investments will only become due after your application has been approved. Our attorneys will advise you of the probability of success prior to submitting your application to protect you from filing an application (and making any investments) that might be rejected. The timeframe for application processing and issuance of the passport can be short as six months if the applicant has already met the one-year residency requirement. Standard processing is approximately 12 - 18 months. Also known as the "Malta Golden Visa", the MRVP program for non-EU nationals leads to Malta permanent residency (meaning the permission to live in Malta as long as desired), visa-free travel to all European countries within the Schengen area, and the option to apply for a Malta work permit. This program requires a one-time investment and does not need to be renewed each year. The processing time is about three to six months. The MRVP program offers two investment options. The first option is a financing package at a one-time, non-recoverable expense of EUR 140,000 plus EUR 10,000 annual property lease (a property purchase is also acceptable). This expense covers all government, financing, and legal fees. The benefit of this option is a lower upfront cash payment. The second option is a bond investment which can be sold after a 5 year holding period. The total cost for this option is EUR 250,000 for the bonds (refundable after 5 years) plus EUR 30,000 government contribution plus EUR 10,000 annual property lease (a property purchase is also acceptable) plus legal fees. The benefit of this option is a much lower total cost because the investor may sell the bonds after 5 years. NOTE: The MRVP Malta residency program does not automatically lead to Malta citizenship (Malta passport). However, Malta residents may apply for Malta citizenship after six years in residency status. The application for Malta citizenship may be approved or rejected entirely at the discretion of the minister and the department in charge at that time. Therefore, there are no guarantees that approval will be granted at that time. The GRP program for non-EU nationals offers 1-year residency in Malta, 90-day visa-free travel to all European countries within the Schengen area, and the option to apply for a Malta work permit. GRP visa applicants also benefit from Malta's low flat tax rate of 15% chargeable on all income remitted to Malta from foreign sources, subject to a minimum annual tax of EUR 15,000. GRP applicants must refrain from staying in any other jurisdiction for more than 183 days and becoming a tax resident in that other country. Malta Residency status under the GRP program needs to be renewed annually to avoid expiration. This program is desirable especially for applicants who only require temporary EU residency status. The annual expense, a minimum tax, to renew residency is approximately EUR 15,000. Further, the applicant is required to rent a residence (house or apartment) at an annual lease of no less than EUR 8,750 (a property purchase is also acceptable). Thus, the total minimum expense to renew the GRP permit each year is approximately EUR 24,000. NOTE: The GRP Malta residency visa does not automatically lead to Malta citizenship (Malta passport). However, Malta residents may apply for Malta citizenship after six years in residency status. The application for Malta citizenship may be approved or rejected entirely at the discretion of the minister and the department in charge at that time. Therefore, there are no guarantees that approval will be granted at that time. The OR program is available to EU nationals who can demonstrates financial self-sufficiency, which is defined as having available funds of at least EUR 14,000 for a single person (EUR 23,000 for married couples). 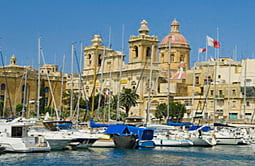 Further, the applicant must purchase or lease a property in Malta. There is no minimum property value requirement. Benefits include the freedom to reside and work in Malta, visa-free Schengen travel, and fast processing (6-8 weeks). Family members can be included. The TRP program for EU-nationals requires applicants to declare they do not spend more than 183 days in any other jurisdiction outside of Malta. The tax rate on income brought into Malta is 15% (annual minimum tax: EUR 15,000). Further, the applicant must purchase or lease a property in Malta with a minimum property value of EUR 275,000 for property in Central/North Malta (or EUR 220,000 for property in Gozo or South Malta). Candidates may alternatively opt for rental of property at EUR 9,600 (or EUR 8,750 per year in Gozo/South Malta). Benefits include the freedom to reside and work in Malta, visa-free Schengen travel, fast processing (3 – 4 months), and a 15% flat rate tax on income remitted to Malta. Family members and domestic staff can be included. Reasons for an Malta citizenship or residency include providing a better quality of life for the investor and his/her family, retirement, arranging for international tax planning, or establishing a safety net should the living conditions at home become unbearable. The whole family can obtain Malta citizenship (Malta passport) i.e. the main applicant, his/her spouse, children, and parents can all travel, reside and work freely within the EU. Malta citizens and their companies can offer services within EU member states without obstacles. Malta passport holders can transfer funds between EU member states, purchase property in any preferred EU country, and invest in any type of business venture. The applicant and his/her dependents are not required to reside in Malta before the filing of a citizenship application, or after obtaining Malta citizenship. Malta is an attractive financial center due to its highly favorable tax system and strategic location at the crossroads of three continents – Europe, Africa and Asia. Malta is fast establishing itself as the premier destination for blockchain projects, such as cryptocurrency applications. The government's regulatory framework covers ICO's (all tokens), crypto trading exchanges and licensing, asset management, VFA services, and similar blockchain technology endevors, thus making Malta one of the world’s friendliest jurisdiction for the sector. Please use our blockchain contact form for additional information. Malta citizenship holders benefit from a high standard of living due to their access to reputable private schools, trustworthy private medical facilities and Malta having among the lowest crime rates within Europe. In Malta, multiple cultures live side by side in peace and harmony. Malta passport holders do not require a visa to travel within the EU and also to travel to many non-EU countries. Malta residents enjoy visa-free Schengen travel of up to 90 days in a 6-month period. Our attorneys are accredited Authorized Registered Mandatories (ARM), a designation required by the Maltese Government to manage Malta citizenship by investment applications. Our team consists of immigration specialists working exclusively on Malta ctizenship & residence matters and will stand by your side throughout the entire application process, from start to finish. We will work with you until your Malta citizenship or residency by investment application has been approved and you have received your residence certificate or Malta passport. • Obtaining application progress updates on your behalf. • Assisting with yacht registration & VAT planning. Step #2: Document Preparation. Should you wish to proceed with an application, the immigration attorney assigned to your case will prepare your application file and collect all supporting documents. The completed application is then submitted to the Maltese government, and you receive your Residency Card. Step #3: Application Processing. The Maltese government now reviews the application and conducts background checks. This step can take up to four months to complete. If the application is approved, the government will issue an Approval in Principle. Step #4: Compliance Period. The the applicant has now up to four months to submit proof of health insurance, rent or purchase property, submit the contribution and fulfill the securities investment requirement. Step #5: Certificate of Naturalization & Passport. Upon final approval the applicant swears an Oath of Allegiance and completes his/her residency period. The Maltese government will issue the Certificate of Naturalization, and the applicant receives the Maltese (EU) passport. If the applicant has already been a resident prior to filing an application he/she can obtain the Maltese passport as early as six months. The average application processing time is 12 - 18 months. The following are questions frequently asked about the Maltese Citizenship by Investment program. If you don't find your answers here, please contact us at your convenience. Q: What are some of the reasons the Malta residency / citizenship by investment programs are attracting so many international investors? A: Many international business executives, investors, public figures, VIPs, and affluent citizens of other countries consider an alternative residency or citizenship and passport a powerful tool for international tax planning and a safety net should the living conditions at home become unbearable. • Applicants are not required to continuously live in Malta before or after citizenship approval. Q: What is the difference between the Individual Investor Program (IIP), the Global Residence Program (GRP), and the Malta Residence and Visa Program (MRVP)? A: The Malta Individual Investor Program (IIP) offers applicants a fast track to the European citizenship and the European passport in return for a one-time investment. 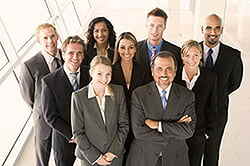 For the main applicant the minimum one-time cost under the individual investor program is approximately €800,000. As a EU citizen you are allowed to live, work, study in any of the 26 European Union countries. 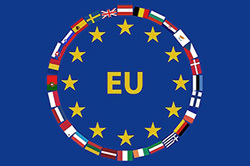 EU citizenship also grants you access to all investment opportunities in Malta and throughout the EU member nations, as well as visa-free travel to more than 160 countries in the world, including the USA, Canada, the Middle East, Africa, Asia, and most countries in North, Central and South America. The Maltese Global Residence Program (GRP) offers 1-year residency in Malta, 90-day visa-free travel to all European countries within the Schengen area, and the option to apply for a Malta work permit. However, residency status under the GRP program needs to be renewed annually to avoid expiration. The annual expense, a minimum tax, to renew residency is approximately €15,000. Further, the applicant is required to rent a residence at an annual lease of no less than €8,750 (a property purchase is also acceptable). Thus, the total minimum expense to renew the GRP permit each year is approximately €24,000. Processing can be as fast as three months. The GRP does not automatically lead to EU citizenship, and it does not automatically result in receiving a European passport. The Malta Residency and Visa Program (MRVP), also known as the "Malta Golden Visa", leads to residency (meaning the permission to live in Malta as long as desired), visa-free travel to all European countries within the Schengen area, but unlike the GRP it has no recurring minimum tax. In other words, the MRVP does not need to be renewed each year. The first MRVP investment option is a financing package at a one-time, non-recoverable expense of EUR 140,000 plus EUR 10,000 annual property lease (a property purchase is also acceptable). This expense covers all government, financing, and legal fees. The second MRVP investment option is a bond investment which can be sold after a 5 year holding period. The total cost for this option is EUR 250,000 for the bonds (refundable after 5 years) plus EUR 30,000 government contribution plus EUR 10,000 annual property lease (a property purchase is also acceptable) plus legal fees. The MRVP program also leads to Malta residency in as little as three months, but just like the GRP program it does not automatically lead to the Maltese (EU) citizenship and the EU passport. Any citizenship application may be approved or rejected entirely at the discretion of the minister and the department in charge. There are no guarantees that approval will be granted. These cost estimates are exclusive of government and attorneys fees and will vary based upon the number of family members to be included. Please use our contact form for a checklist of all required application documents and to receive a detailed quotation. If you are planning to apply for more than one family ask us about a group discount. Q: What is the difference between the Ordinary Residence (OR) program and The Residence Program (TRP)? A: Both programs are only available for EU nationals, meaning applicants who are already a citizen of another EU member country. The Residence Program (TRP) offers a flat tax of 15% on income brought into Malta (EUR 15,000 annual tax minimum) which makes this program especially attractive to high income individuals. Q: What is the minimum investment required to obtain the Malta citizenship (EU citizenship)? Who will receive these funds? A: Applicants for the Malta (EU) citizenship program are required to make a contribution directly to the Maltese Government's National Development and Social Fund. The contribution is set at 650,000 Euro for the main applicant, 25,000 Euro for a spouse and each minor child under 18 years of age, and 50,000 Euro for each dependent parent over 55 years of age and each dependent child between 18 - 26 years of age. In addition, the applicant is required to (a) invest 350,000 Euro into Malta real estate, or (b) lease a Malta property for at least 16,000 Euro per year. If purchased, the real estate may be liquidated after the five year holding period. Further, the applicant is required to purchase 150,000 Euro worth of Government approved securities to be held for at least five years. The securities may also be liquidated after the five year holding period. Please use our contact form to receive a detailed cost estimate. A: Taxation in Malta is based on domicile and residence – not citizenship. Obtaining Maltese citizenship does not automatically cause the applicant to acquire a new domicile. Becoming a citizen of Malta does not have to have any tax consequences! Tax residents of Malta who are not domiciled in Malta are taxable on a remittance basis. This means they are not taxable on foreign source income (income not received in Malta), nor on any capital gains arising outside Malta. Tax is due only on income and capital gains arising in Malta. A non-resident citizen of Malta is only taxable in Malta on income generated in Malta. Q: Can I include my family with my application? A: Yes. The main applicant may include a spouse, children, and parents. A: No. When you acquire citizenship under the Maltese citizenship program, you and your family enjoy full citizenship for life, which can be passed on to future generations by descent. Q: Do I need to move to Malta or live in Malta for a minimum number of days during the year to qualify for the program? A: Applicants do not need to move to Malta or live in the country for a full year to satisfy the one year residency requirement. Instead, an applicant can meet the requirement by proving a genuine link with Malta as evidenced by, for example, a minimum of two visits within the year, or showing water and electricity bills, or having a club membership, engaging in any business activity in Malta, or similar. Our attorneys will assist you to be in full compliance with Maltese regulations. Q: What is a "genuine link"? A: The Maltese Citizenship Program as approved by the European Commission is based on establishing a ‘genuine link’ between the applicant and Malta. Applicants do not need to move to Malta or live in the country for a full year to establish a genuine link. Acceptable criteria to establish a genuine connection with Malta include having a local mobile phone, donations to charity, membership of a local club or professional body, business activity, as well as any involvement in philanthropy. Q: Approximately how long does the application process take until I am granted citizenship? A: The IIP application process takes approximately four months to process. If the applicant has already been a resident prior to filing an application he/she can obtain the Maltese passport as early as six months. Upon submitting the Residence Application, the main applicant and his dependents (optional) are provided with an E-Residence document which is equivalent to a Schengen Visa, grating borderless travel to all Schengen countries. Week 1 - 3: Document Preparation. The attorney prepares the application file and collects all supporting documents. Applicant receives the Residency Card. The completed application is submitted. Week 4 - 20: Application Processing. The Maltese government reviews the application and conducts background checks. Week 21 - 36: Compliance Period. The applicant submits proof of health insurance, rents or purchases property, submits the contribution and fulfills the securities investment requirement. Naturalization. Upon application approval the Maltese government issues the Certificate of Naturalization to the applicant and any dependents, subject to the Oath of Allegiance and one year residency. Passport are issued. Q: Can you help me with obtaining Malta citizenship by descent? A: Yes. Please use the contact form at the bottom of this page and briefly describe your family's Maltese background. Q: Can you help me find suitable real estate in Malta? A: Yes. We are associated with licensed real estate agencies and developers in Malta and can help you find an ideal property that fulfills the program's real estate investment requirement. Our professional relationships in Malta guarantee to our clients a smooth, comprehensive service that includes identifying suitable properties, providing transport for property viewings, drafting/reviewing legal contracts, and/or liaising with local notaries and architects as needed. When you decide on a property for purchase we can arrange for a Power of Attorney to appear on your behalf without the need for you to come again to Malta for the signature of any necessary contracts. Q: How soon can I sell my Malta real estate? A: The IIP program requires property to be held for five years. After this period, property in Malta can be sold completely exempt from tax if it has been held for three years as the resident’s sole and ordinary residence. If the property is sold before having been used as the resident’s sole residence for three years, a final property tax of 12% is chargeable on the selling price. Q: Do I need to invest in a Malta company and create jobs to qualify for the program? A: No. Unlike other programs such as the EB-5 Investor Visa in the United States, Malta has no requirements to invest in a business or create new jobs. Q: Will the Malta citizenship automatically grant me European citizenship? A: Yes. Because Malta is a member of the European Union its citizens are automatically European citizens, which means you are allowed to live, work or study anywhere in Europe. However, please note that the total number of citizenships (total number of passports) the Maltese government has made available under this program is limited! If you are ready to file an application Please use our contact form for additional information. Q: What is Malta's position on crypto currency and blockchain technology? A: Malta is fast establishing itself as the premier destination for cryptocurrency and blockchain technology. The government's regulatory framework will cover traders, asset management, and exchange platforms, thus making Malta the world’s friendliest jurisdiction for the sector. Our associated crypto / blockchain professionals are published experts in this field who can advise you on best practices for crypto-related topics in Malta. Please use our blockchain contact form for additional information. A: Sorry, the immigration by investment programs were developed by the government to attract high net worth individuals, business owners, VIPs and other individuals with the financial means to support themselves and the local economy. Please note: New citizens do not need any work permission; they may work in any of the EU member countries. New residents may apply for a Malta work permit, but would need to find their own employment opportunities. The Cyprus Citizenship by Investment Program provides the applicant with several investment options starting at EUR 2,0 million for immediate European citizenship and passport. The entire citizenship application process can be as fast as 3 - 6 months. The United States EB-5 Program leads to permanent residency status and citizenship in the United States for a minimum investment of US-Dollar 500,000 in a commercial enterprise in the U.S. that generates at least 10 jobs for Americans. After five years as a permanent resident the investor may apply for U.S. citizenship. The Caribbean nations of Antigua & Barbuda, St. Kitts & Nevis, Grenada, Dominica, and St. Lucia offer citizenship programs requiring a cash contribution of at least US-Dollar 100,000. Q: Will I be able to travel to the United States with the Malta passport? Please contact us for a detailed cost estimate or confidential consultation. Our attorneys are ready to assist you with attaining your investment objectives and answer any questions you might have about all of Malta's Residency / Citizenship by Investment programs. If you prefer to meet in person at one of the firm's offices please advise us of your travel itinerary so that we may coordinate a time and date most convenient for you. Our immigration advisors in Malta are working exclusively on Citizenship & Residence matters and will stand by your side throughout the entire application process, from start to finish. The team will work with you until your residence or citizenship by investment application has been approved and you have received your residence certificate or Malta (EU) passport. I am interested in the Malta citizenship and passport program (IIP) at a cost of approx. €800,000 plus property purchase or rental. I am interested in the Malta permanent residency program (MRVP) at a cost starting from €140,000 plus property purchase or rental. I am interested in the Malta 1-year Global Residency Program (GRP) at a cost of at least €15,000 per year plus property purchase or rental. I am a citizen of a EU member country. I am interested in the Malta Ordinary Residence (OR) or The Residence Program (TRP).